With many campers returning year after year, there was a need for a camp design that could generate new experiences for the repeat camper especially for the middle school aged learners. We developed a new two-week summer camp that combines animation techniques with new digital media tools, providing students with a unique opportunity for creative expression. Students used physics, geometry, and classic animation practices to create original short videos. The two-week camp culminated to an animation showcase that took place on the museum floor. 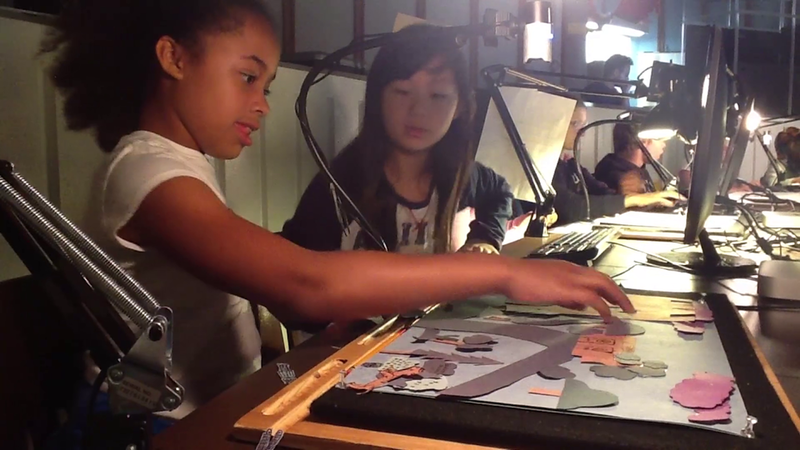 Animation camp has been running since summer of 2011 and remains one of the Hall's most popular offerings. Students, their families and Hall visitors look forward to the animation showcase every year, which ties in well with the Hall's design-oriented exhibits. TechHive teens learn how to teach and then assist in delivering the classes and camps.